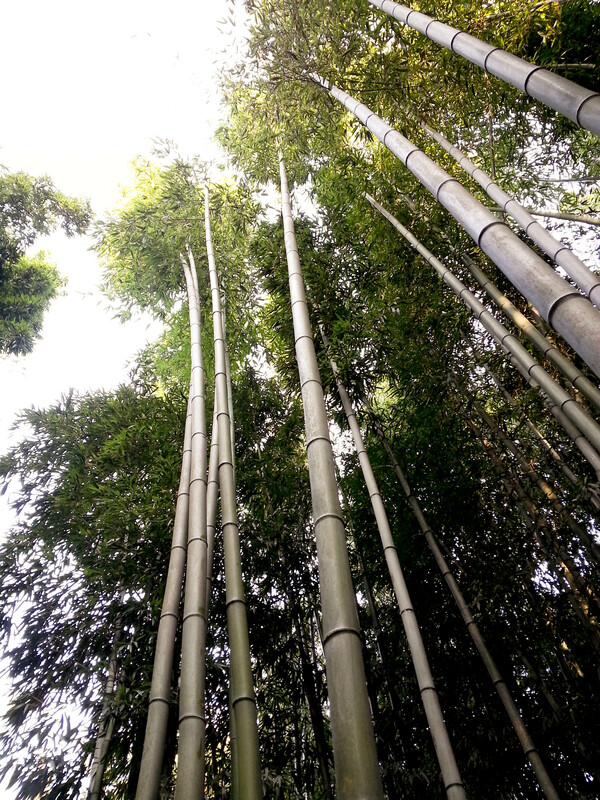 Walking through a bamboo forest in Damyang. 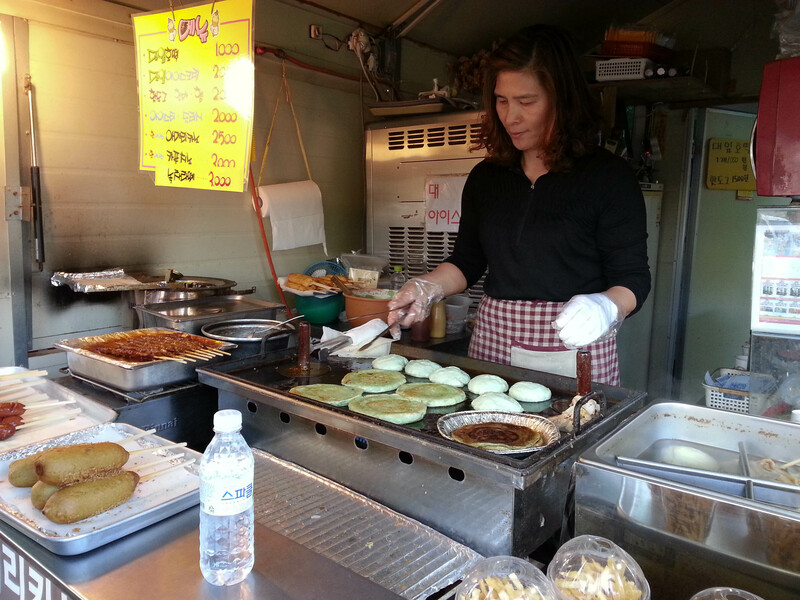 This woman is making one of my favorite Korean street food snacks called hotteok. It’s a pancake filled with brown sugar (or sometimes honey) and cinnamon. This is a special kind of hotteok made with bamboo which is why it’s slightly green. 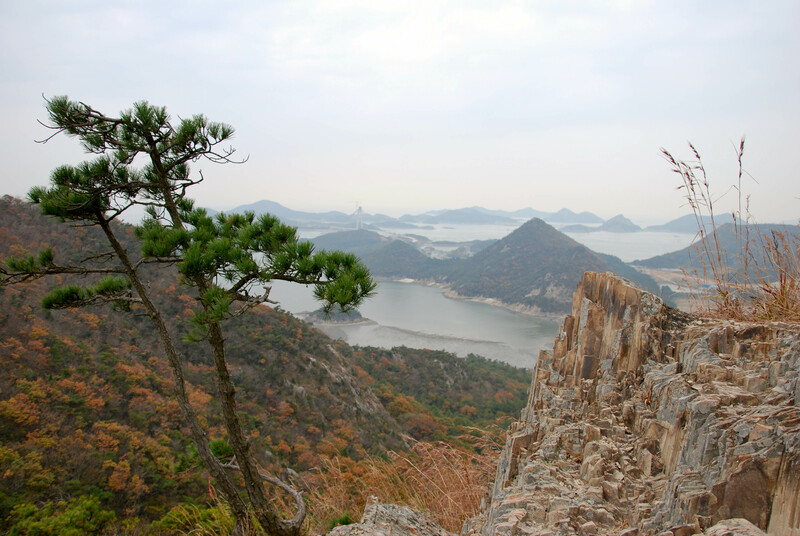 View of Chungbuk, the province I live in, from the air. 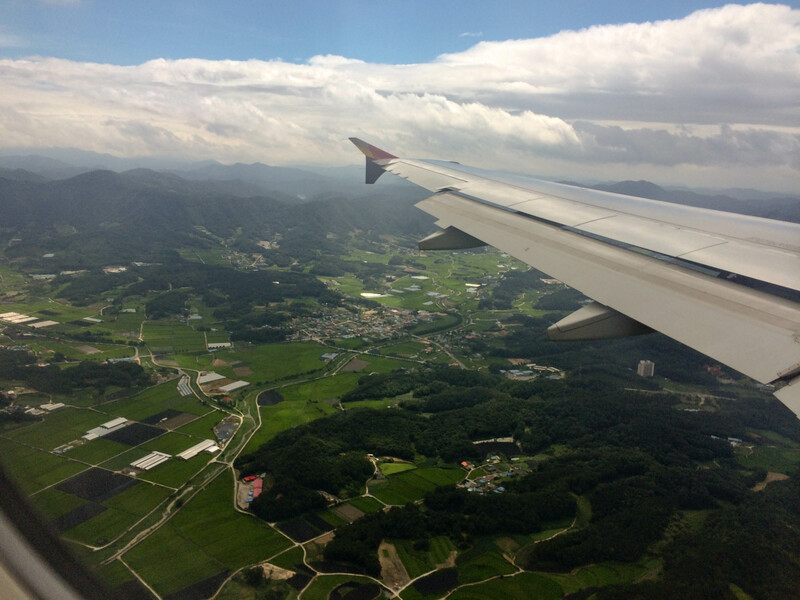 This was on the flight from Jeju Island to Cheongju. 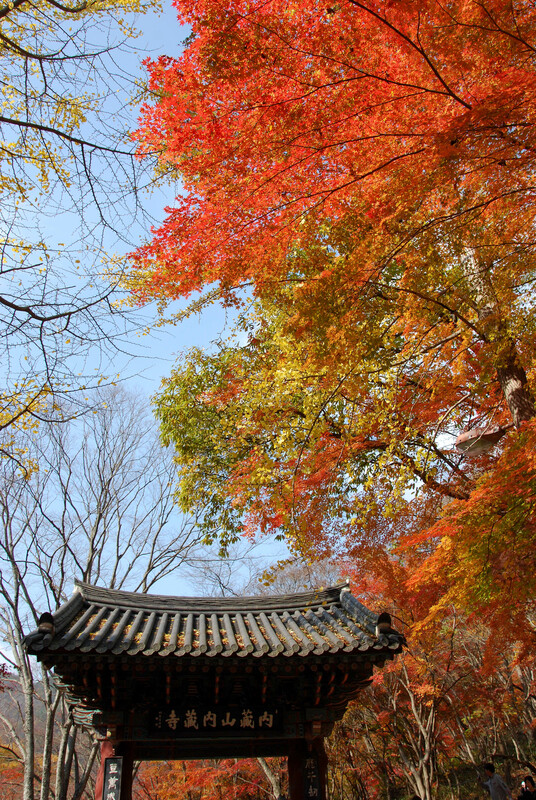 A burst of color at Naejangsan National Park. 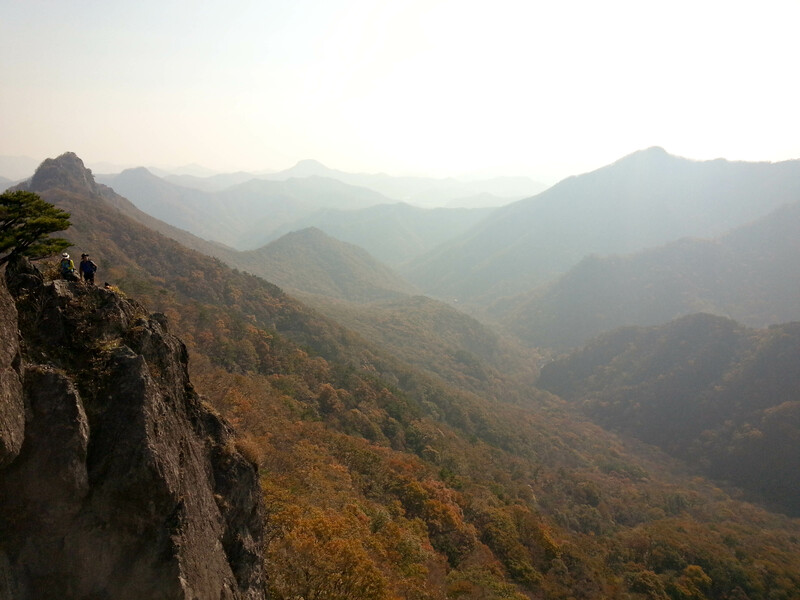 Fall hiking in Naejangsan National Park. 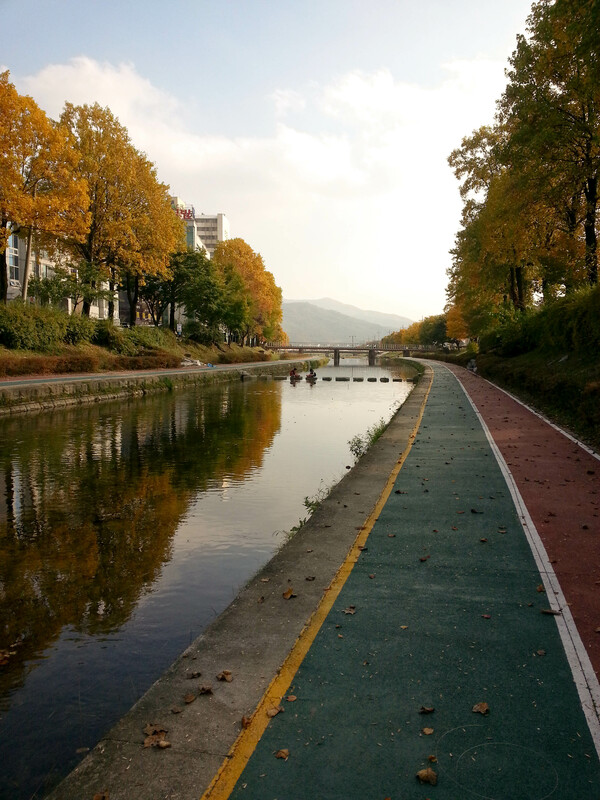 Strolling through Seonunsan Provincial Park. 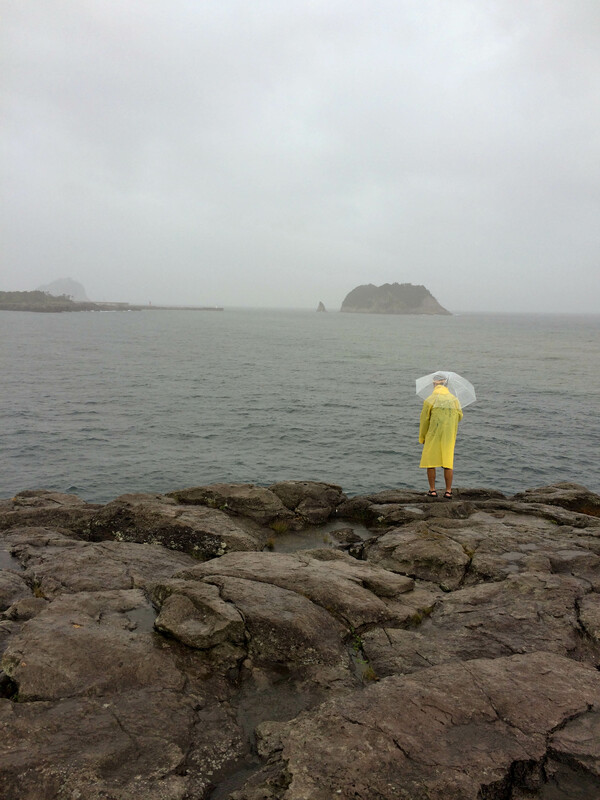 Sinsido Island, looking out towards the West Sea (aka Yellow Sea). 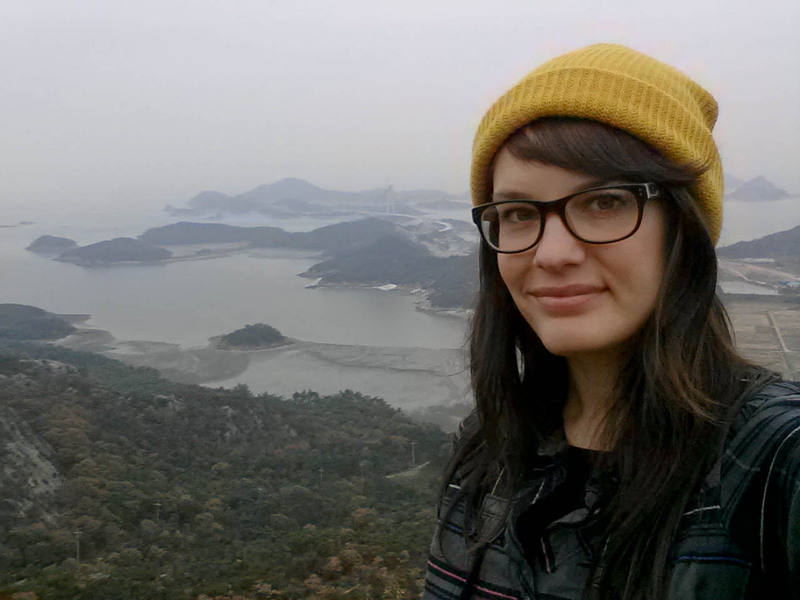 Sneaking in a selfie on a Sinsido Island hike. 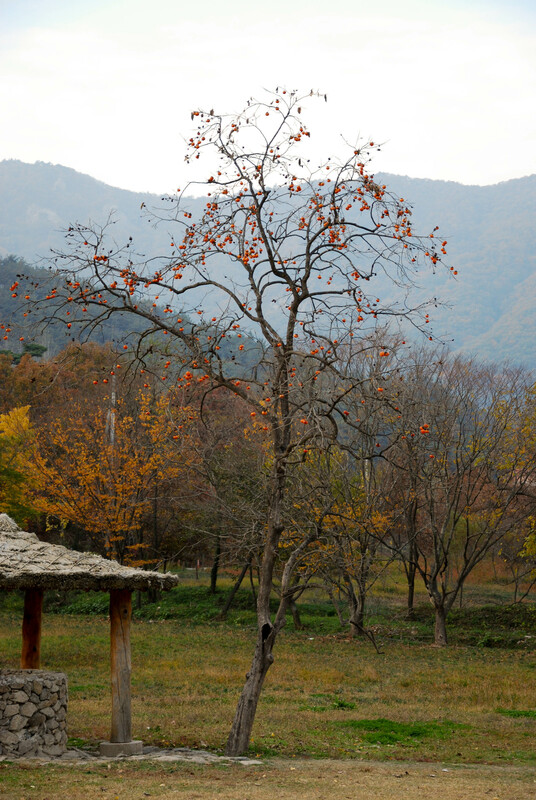 A persimmon tree in Seonunsan. I had no idea these trees were so talll! I also hadn’t ever tried a persimmon until recently. They’re really sweet and delicious. 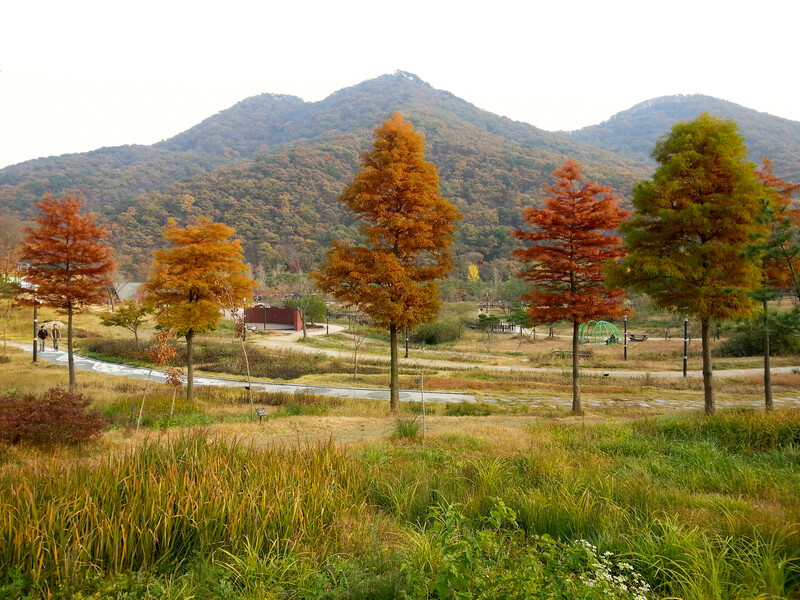 More fall colors at Seonunsan Provincial Park. 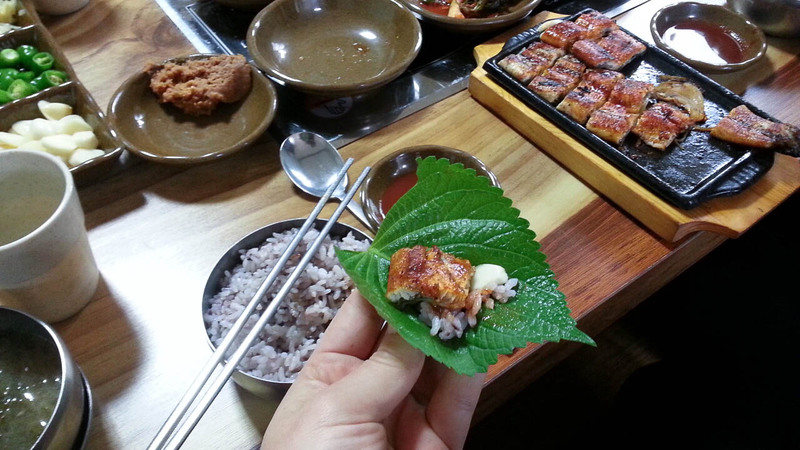 Grilled eel which I ate wrapped in a perilla leaf with rice and garlic. So good! 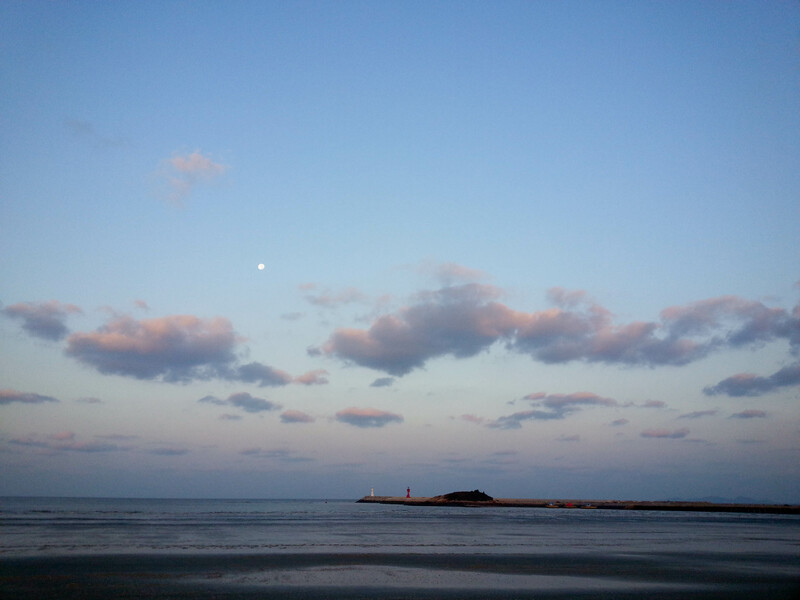 Early morning at Gusipo Beach. 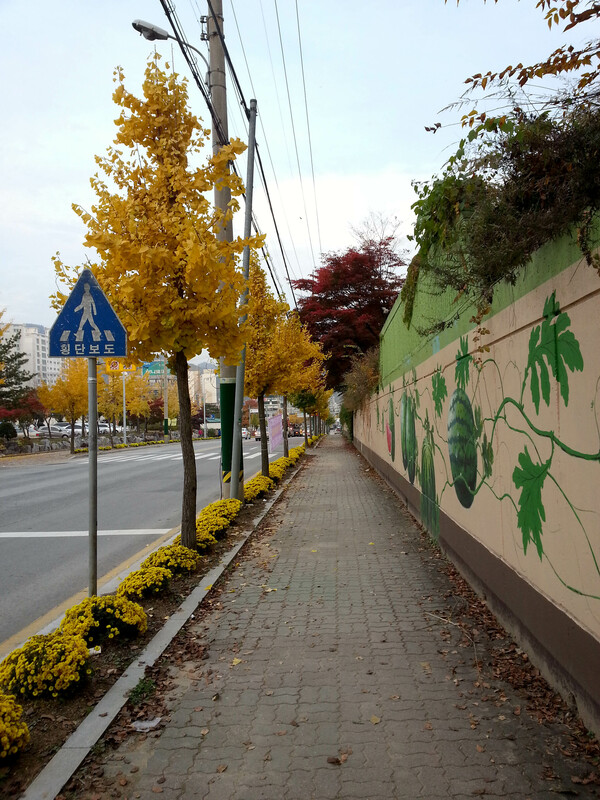 I walk down this sidewalk every day to get to my apartment. 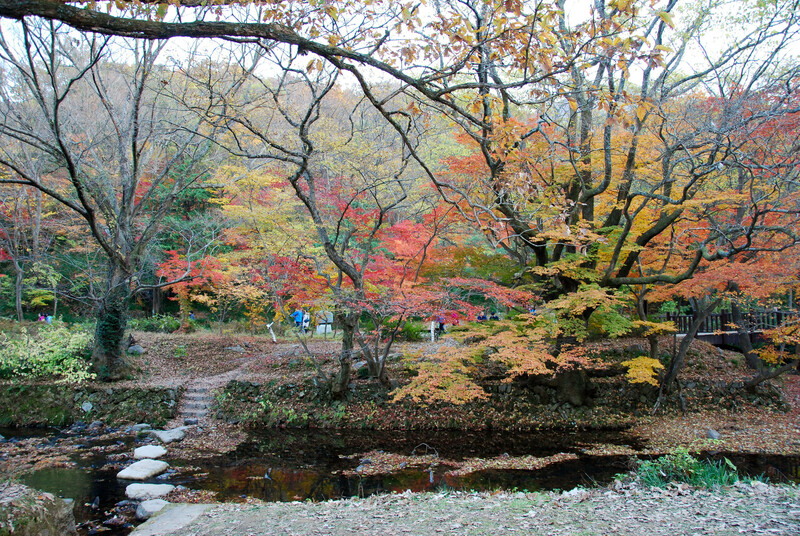 The pretty leaves are almost all gone now. Be ready to make me a hotteok when you get back!